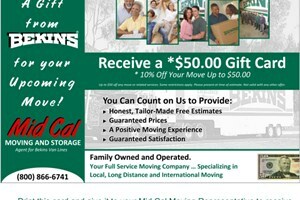 If you're in the market for expert residential movers in Stockton, Modesto or Sacramento who understand what it takes to execute a safe and efficient relocation, then look no further than Mid Cal Moving & Storage. We're a BBB-accredited company with ProMover membership in the American Moving & Storage Association. We're also proud agents for Bekins Van Lines, a premier carrier since 1891! Our partnership with Bekins gives us the resources and support we need to execute not only local and national moves, but international moves as well! For more information or to receive a free quote, call us today! For more information on our household moving company and the services we offer, call us today or fill out the Quick Quote form above for your no obligation estimate.